Tetsuya Kuroko was a member of the legendary middle school basketball team known as the Miracle Generation, but now that he’s on Seirin High School’s team he’s vowed to help his brash new teammate Taiga Kagami take all of his old teammates down. Seirin is now smashing their way through the Inter-High qualifying tournament after defeating Ryota Kise in a practice game, but now they face the prospect of playing the superstitious sharpshooting member of the Miracle Generation, Shintaro Midorima, to win the tournament. However, they’ll have to get through the powerful Seiho High to get their date with Midorima, giving the rest of the Seirin team the opportunity to avenge a bitter defeat. 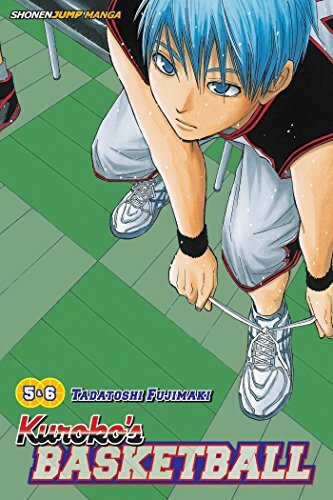 Kuroko’s Basketball’s first volume focused heavily on setting up Kuroko and Kagami’s respective backstories in relation to the Miracle Generation, and this came at the cost of the rest of Seirin’s team feeling like background pieces despite playing a team-oriented sport. In contrast, the first half of this volume rectifies this to a degree as Seirin takes Seiho High, the team which demolished them last year. The first bit of this game is once again the Kuroko and Kagami show as they make a number of intricate plays before having to be taken out of the game, and the result is a short redemption arc for the rest of the team as they struggle to finally beat their rivals. While conceptually this was a good idea to add some emotional stakes to the game, it ends up falling flat because the rest of the team has had such minimal focus placed on them so far to draw that type of emotional investment. It wasn’t particularly apparent what the “pride” they were playing for actually meant in a tangible way, and as a result, their last-second victory didn’t feel that cathartic because we’ve barely had a chance to figure out who these guys are yet. While the first half of this volume gives some of the spotlight to the rest of Seirin’s team, we do see some movement on Kagami and Kuroko’s parts during both halves of this volume. Kagami doesn’t end up playing a role in the game against Seiho after flirting with fouling out, but the effort of his upperclassman in trying to win does push Kuroko forward in a meaningful manner that helped to characterize him a little bit more. I liked that we did get to see the emotions really come out here, and this was especially apparent in Kagami’s struggle to push himself forward against Midorima. Kuroko continues to be a little bit more of a blander character, and most of the sparse emotion we see from him comes as a reaction to the actions of others, albeit in ways that get the occasional laugh from his deadpanning. Kagami continues to be a contrast to Kuroko on that front in terms of being at the mercy of his emotions, and I thought that the second game against Shutoku did a good job showing both sides of this in an interesting way. We continue to see his fiery drive, but what I found interesting was that this was balanced by introducing some of his own inner doubts as a result of his reliance on Kuroko. While this was a little bit sudden and not as nuanced as it could have been, this did a good job injecting some real emotion into the course of the Shutoku game in a way that made the stakes a little more interesting than in previous games. 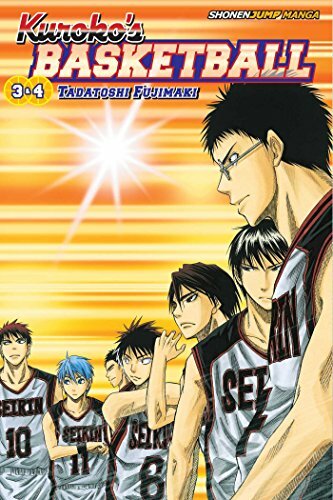 The vast majority of this volume is taken up with showing the basketball games against Seiho and later against Shutoku, so the enjoyment you’ll get out of this volume will depend on how much you connect with these games. As noted above, each of the games has some emotional stakes developed and put into play, but this wasn’t completely effective at making the games particularly interesting. Kuroko’s Basketball continues to subscribe to the idea of portraying these basketball games as a series of cool moments as opposed to making the plays flow into one another, and this threw the pacing off in a number of places because it was unclear how the overarching game was going outside of a series of individual plays. A notable example of this takes place in the Shutoko game where we see several pages worth of Midorima shooting three-pointers - we see the scoreboard moving up, but we never see much of the play outside of these shots or any sign of the offence that Seirin is presumably putting forward to keep up. While the point here is to clearly show how dominant Midorima is, these scenes don’t come together cohesively to give the impression of what it actually happening in the game outside of this. It felt like the scoreboard would run one way or the other with little explanation aside from “x cool play being shown”, and this made it feel a lot less significant for one team to come back or fall behind. Again, the games here feel more like a series of individual plays than a flowing game, and this continues to be a distracting drawback of the way these games are portrayed. Although I continue to have complaints about the way that the games are portrayed and paced, one thing that Kuroko’s Basketball does do well is making sure that the “cool moments” are cool enough to live up to that billing. We see a number of pretty awesome showcase moments – from Kuroko making a laser pass, to Kagami cramming down a huge dunk – that add a strong exclamation point to the proceedings even if they frequently seem to defy any sort of realism. Additionally, the Shutoku game did the strongest job of any game in the series so far in terms of creating some meaningful emotional stakes as we see Kagami absolutely buzzing with electricity as he plays to try and dispel his doubts. The result is that despite some recurring problems the Shutoku game was the best that this series has put together so far, and the art similarly backed this up by doing a better job taking a wide approach by adding in some transition panels to show certain plays develop. There’s certainly a lot of room for improvement here, but it was an encouraging sign nonetheless. 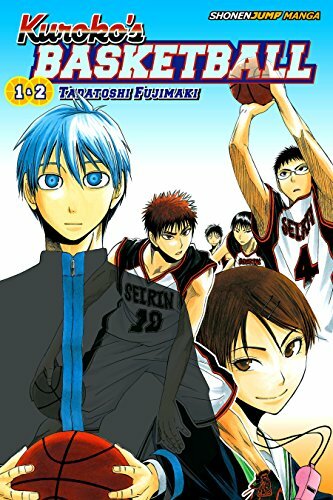 The action heats up in this volume of Kuroko’s Basketball as Seirin plays a couple of games that take up this entire volume, and how much you’ll enjoy this volume will depend on how much the action resonates with you. There are undoubtedly some pretty awesome moments, but these are still about more from cool things just happening compared to them being rooted in the emotions of these characters or build up during a game. The redemption arc that underlies the first game is rather underdeveloped, but the second game is much stronger in this department in focusing on Kagami’s emotions. If you’re interested in this series for the spectacle then you’ll definitely find a bunch of things to like in this volume, but I continue to feel myself longing for this series to show more commitment to making the games more cohesive both in terms of the emotional stakes in play as well as in portraying course of play coherently. Kuroko’s Basketball Vol. 3 & 4 was translated by Caleb Cook and published by Viz Media on October 4th, 2016. 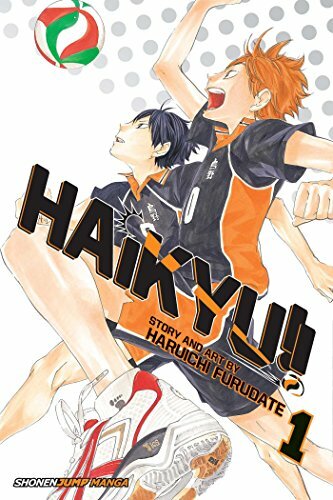 Created by Tadatoshi Fujimaki, the series began in 2012 and runs in Shueisha’s Weekly Shonen Jump magazine.